Usually I include a lot of makeup in my favorites, but this month I've been a bit on the low with makeup. 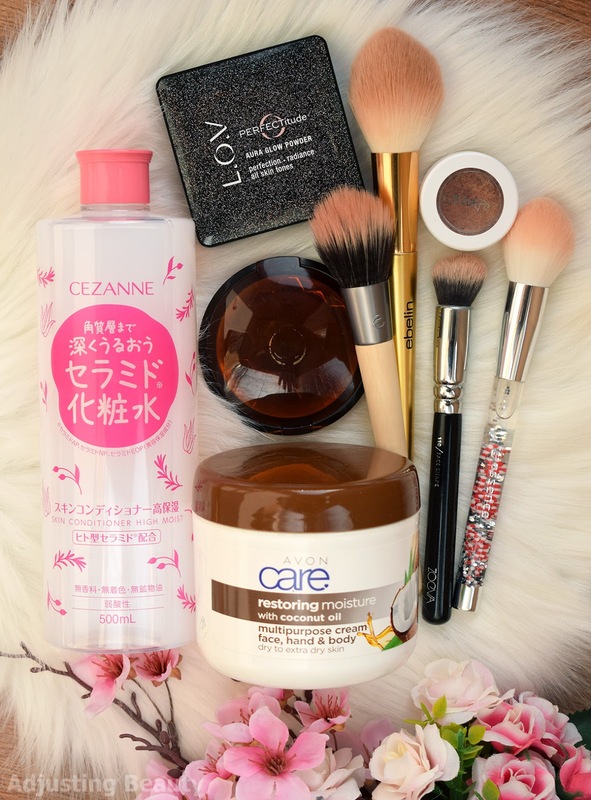 I have some good skin care and body care suggestions as well as some great finds in makeup brushes. I had Hada Labo version and recently bought Cezanne. I would consider this as essence and use it in a toner step. It has lots of ceramides and hyaluronic acids, so basically everything good for moisture and good skin barrier. I've been using it for the most of this past month and really like it. It's a milky white liquid that is light, but gives you moisture and feels slightly sticky right after application. 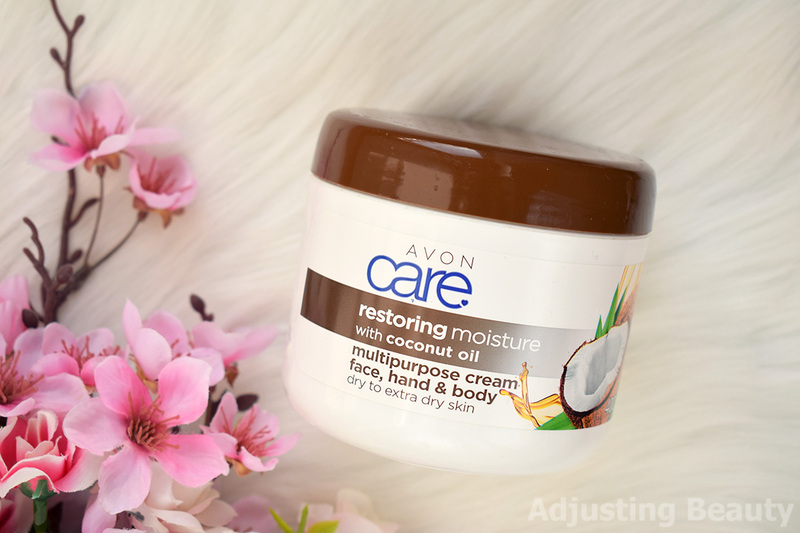 I usually use a few layers of it, if I want to skip heavier moisturizer, because this does a great job on its own. I wanted to use it for my foundation, but then I saw how small it is. It's actually perfect to blend concealer under the eyes, around the nose and all those smaller areas. You can definitely use it for foundation too, but it works best with thinner liquids that you want to apply in a thin way. This really spreads it out. 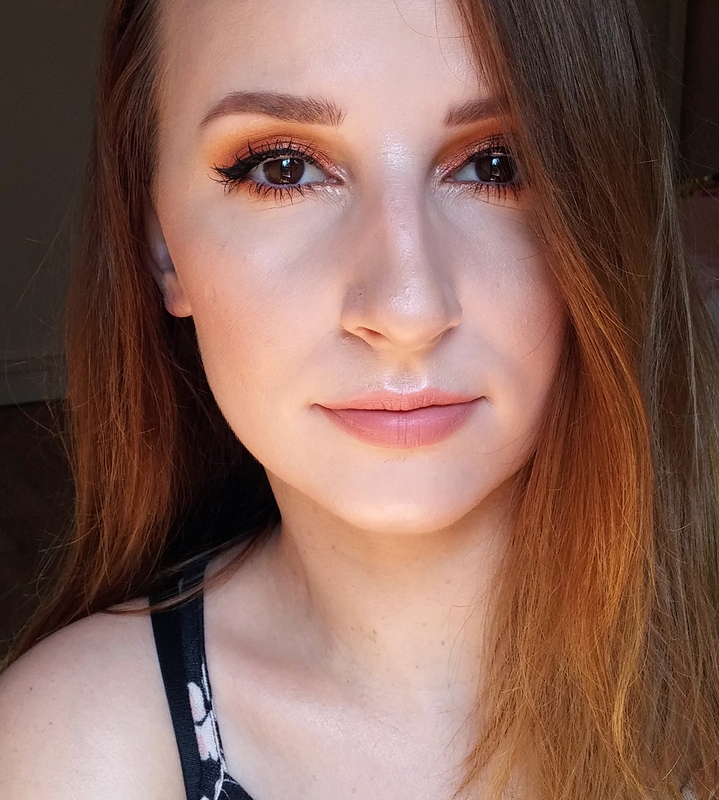 I also love it for liquid highlighter, because it applies it in just enough of a wide line. Bristles are soft, but dense enough to actually blend out product well. It's called powder, but think of it as highlighter. Compared to all my other highlighters, this is very subdued in intensity. 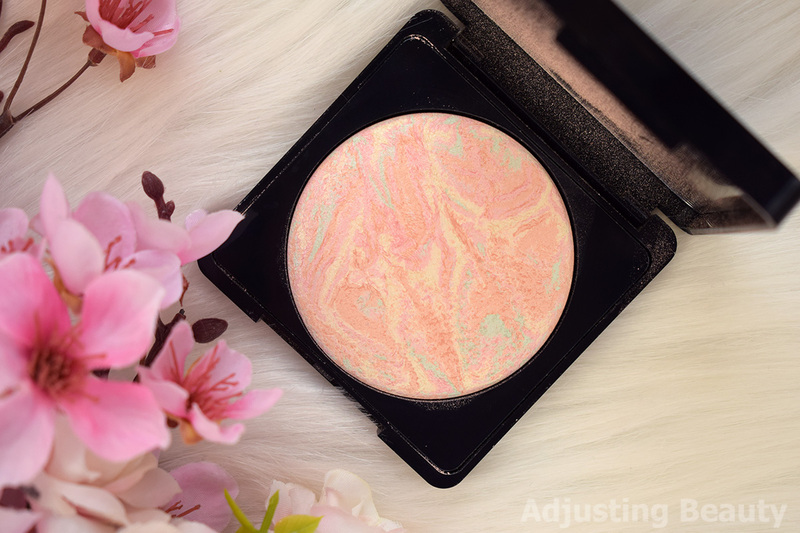 It could be used as powder, if you want really glowy complexion, but I use it as a highlighter. 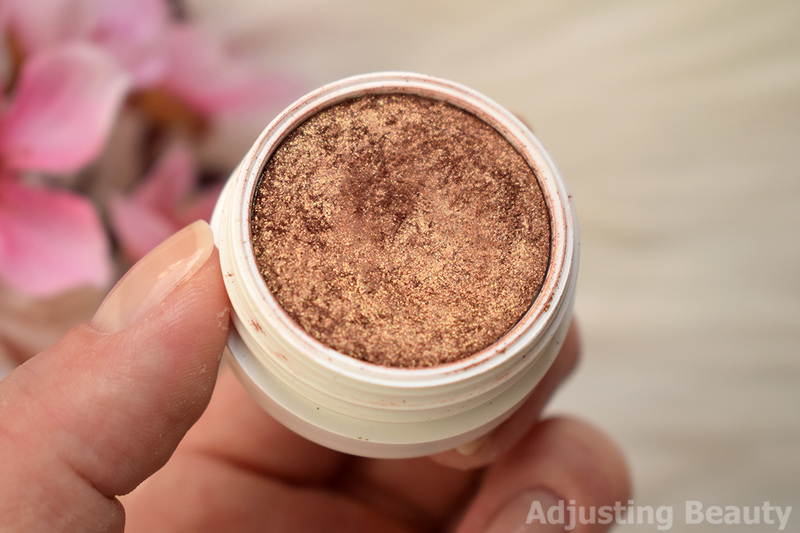 Baked formula includes a mix of different colors, but on the skin it looks like light champagne with pink and gold sheen. This has tiny shimmer in it which gives your skin such a nice natural looking glow. It's very sophisticated in a way and not that blinding highlight that you can get everywhere. I've been using it for the whole month. I'm back to this bronzer, because my complexion has turned paler again. It's just so easy to use, because it's not too pigmented and you can easily build it up. I love the color, because it's very light and it has a bit of red tint to it, which makes it look so believable on the skin. This formula is matte and it's so easy to use without it looking streaky or too heavy. This is my lazy one swipe eyeshadow, when I don't want to complicate my makeup. Formula applies creamy and it sets well. DGAF is a redish brown with lots of gold, copper and green shimmer sheen. Mostly it just looks golden or copper with that redish base. It's so easy to just swipe it over the lids and blend out the edges. It looks dimensional and in my warm brown color family. I can't believe how soft these bristles are. 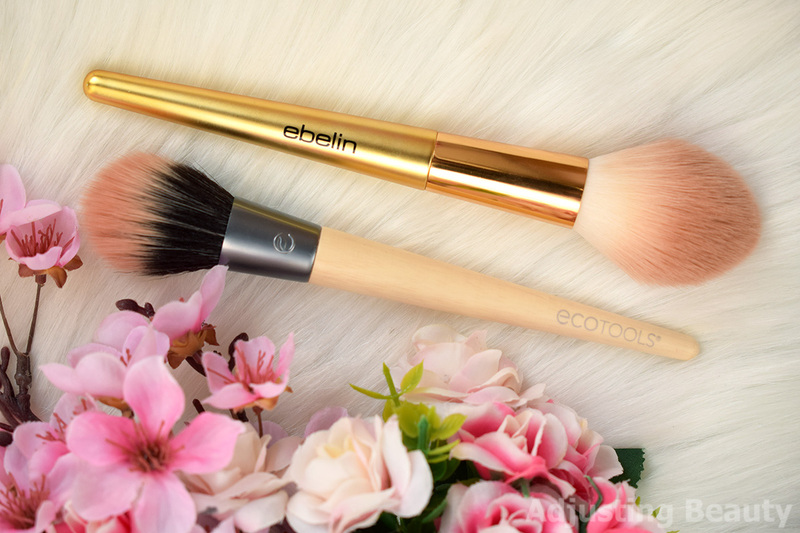 Ebelin has some amazing quality brushes. This was part of a limited edition collection. I immediately liked the shape of it, which is very tapered and almost creates a triangular shape. I love to apply bronzer with it, because tapered bristles make it blend so effortlessly without any sharp lines. It's also fluffy and soft enough that it deposits color lovely. Gold design is gorgeous as well. 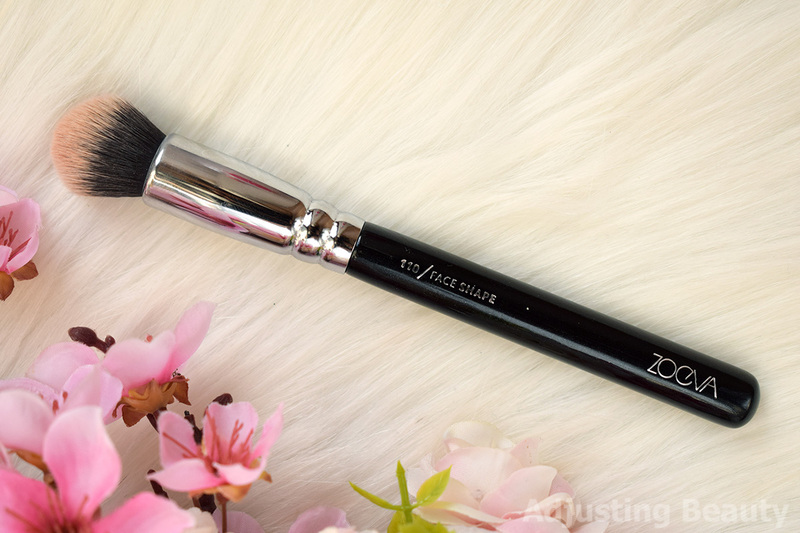 This is so far the best brush for my kind of blush application, which is sheer. I'm not big on pigmented blush look, so I like it to be applies sheerer. This blush has those rounded soft bristles that are sparse and pick up just enough product. This is exactly as described, a sheer blush brush. 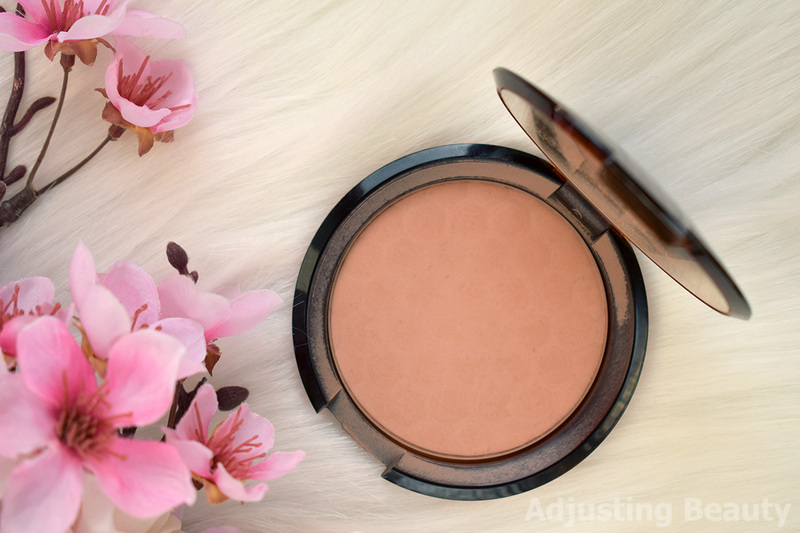 This one works even better with those very pigmneted blushes, because it never looks too much. Let's talk about eye catching design. 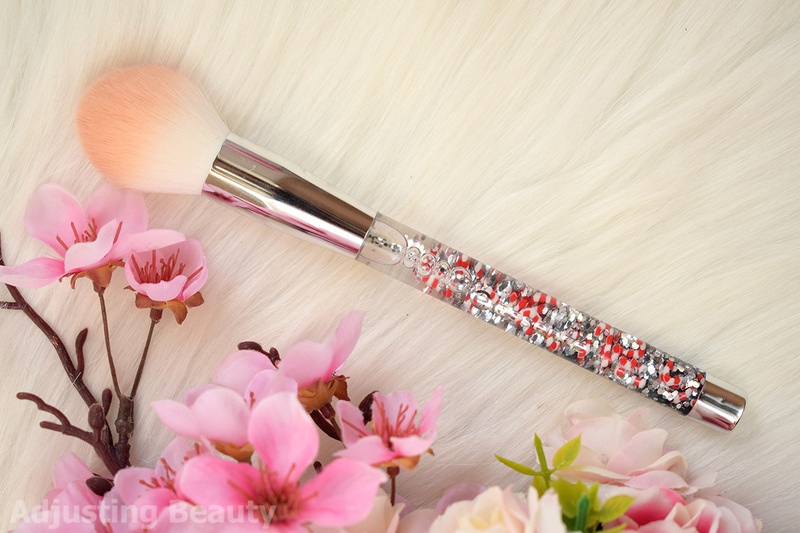 This is collectible piece and one that every makeup lover would adore. Handle has transparent plastic design and in it you can see small silver hexagons and candy cane design swimming from one side to the other. It's mesmerizing to watch and play with. It's not only worth it for design, the bristles are also really soft and tapered. They blend out product lovely. I use ti for highlighter to get that seamless glowy skin. You could also use it for powder, blush or contour. If you're thinking about gift, this is a good one. I actually almost finished this one. It's advertised as multipurpose cream for handy, body and face. I use it as a body lotion. The thing I like about it is te formula. It's thicker white cream that you have to really massage into the skin. It's not as hard to spread as some butter formulas, but it's still one of those thicker formula. 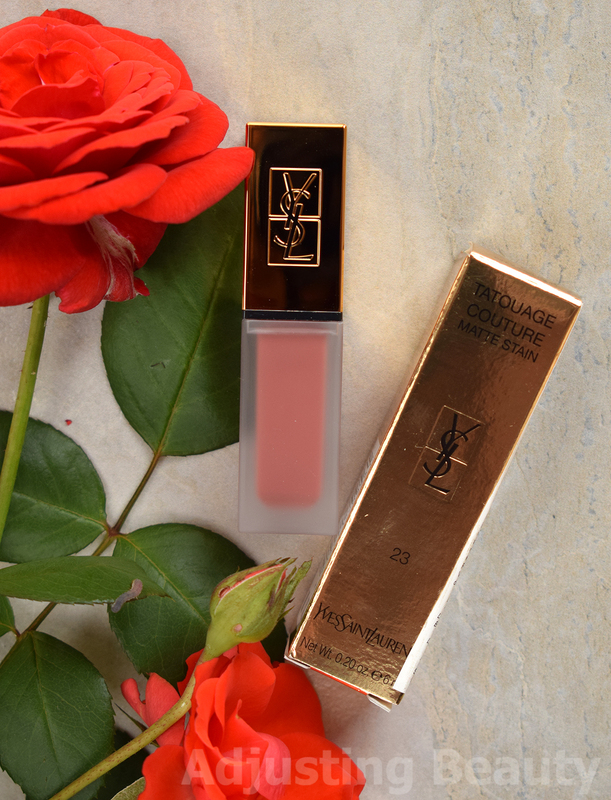 It gives you almost matte finish to the skin and coats you with a nourishing layer. I love that this really sticks to the skin and stays on it until you wash it off in the shower. I like those kind of heavier formulas that linger on the skin and create protective barrier. But it might not be for all. It also has sort of coconut scent, which is a bit artificial, but I've gotten used to it. It's not overpowering. I also like that this formula doesn't irritate me, it actually feels soothing on my dry body skin. I've been loving Ariana Grande's music this month. Her album Sweetener has some fun songs. I especially like God Is a Woman and Breathin'. Her latest single Thank You, Next is also on my playlist. I like her voice and the way she sometimes mumbles words instead of pronouncing them out. Lyrics are also great part of her music. I've found my unicorn. Look, I have small feet, size 35. It's very hard to find shoes that fit me and there are some styles that I just knew I'll never be able to wear. Like knee high boots. I have thick calves and tiny feet, which is not the best combination. But I decided to try these boots in CCC Shoes & Bags anyway and to my surprise, they fit me. Not only that, they were also on sale. Sometimes things like that just make my day. Everyone else that struggles with shoes like I do will surely understand me. Ravno to sem iskala, nekaj vlažilnega, ampak lahkega na koži. In Cezanne je za to super :). Res je, ampak meni so taki sintetično mehki vedno všeč. Sploh pri osvetljevalcu me to ne moti. Na primer tega od Revolution Pro še vedno dovolj pobere, ker je itak noro pigmentiran :D. Jaz sem zdaj ravno dobila še eno naročilo, kjer sem kupila še večjega tega od Zoeve. Enak, samo velik za obraz in je super. V bistvu sta oba dobra, ampak majhne je skoraj bolj zanimiv za kakšne detajle.